Thought I would share some old Easter photos I came across this week! I love my sister, Ashley! 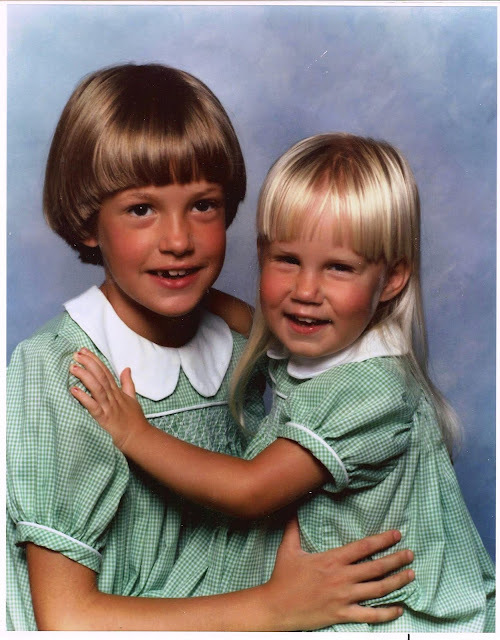 Here we are in 1985 in our adorable matching Easter dresses! Little did we know, that 26 years later my sister would have her own children's clothing line Lil Blue Boo and be sewing similar dresses for her little girl, Sienna! Such wonderful family memories! You gotta love the "bowl cuts" too! 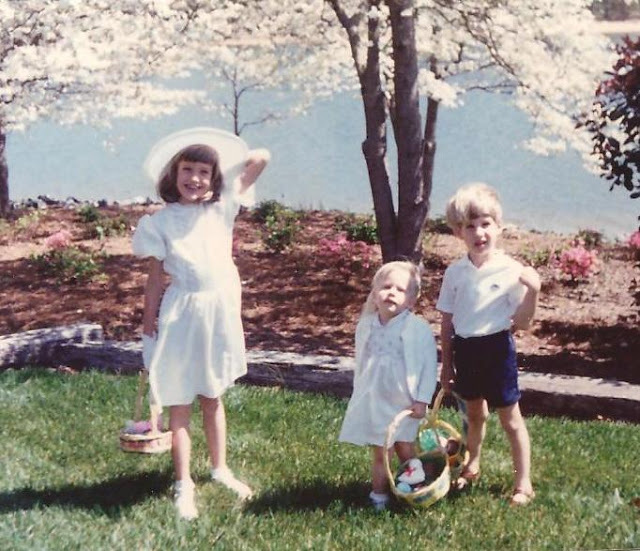 Ashley, me, and Swen on Easter with our Easter baskets. Lake Wylie, 1984. I hope everyone has a wonderful Easter! Jesus has Risen!!!!! God bless you! I LOVE the pictures! How cute! And I remember when you were those ages! How time flies! Betsy! I know!!! It just seems like a few years ago! Hopefully we can get together sometime soon! Please let us know if you ever get down to Charlotte! Did the headband fit your grand daughter or was it a little big? I hope she liked it!